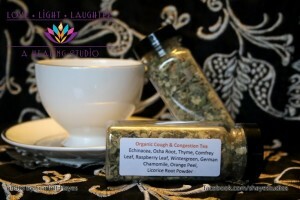 Love Light Laughter ~ A Healing Studio has created an Organic Cough & Congestion Tea that works wonders! It’s only $9.00 for 4 ounces of quality herbal tea. Bronchial congestion is the result of inflammation of the mucus lining of the airways in the lungs due to various factors, including infections, cold, or the inhalation of respiratory irritants and pollutants. It is compounded in certain individuals who smoke due to the constant irritant effect of cigarette smoke on the lungs. Severe congestion is seen in asthma patients due to reduced immunity, which leads to breathlessness. Home remedies for bronchial congestion not only act by combating the inflammation, but also aids in soothing the symptoms and gives the immune system a boost. Home remedies for bronchial congestion have been around since ages. Bronchial congestion is caused as a result of common cold due to the inflammation of air passages (bronchi) in the lungs and the trachea. Inflammation can also be caused by an infection from bacteria or viruses (common cold and flu), or due to the constant inhalation of irritants such as fumes, dust, or other pollutants. Also, bronchial congestion is worsened in patients whosuffer from asthma or are malnourished. Bronchial congestion occurs because of inflammation of the mucous lining of the airways, which leads to the secretion of fluid in response to the inflammation. The coughing reflex caused by bronchial congestion aids in expelling the secretion, which is observed as phlegm. Bronchial congestion is characterized by colds, coughs, and associated difficulty in breathing. Bronchial congestion can be easily countered by using certain easy-to-access herbs and other home remedies that speed up the process of healing and eases the discomfort. Tea: The FDA elaborates the manifold advantages of tea as a remedy for cold and bronchial congestion. 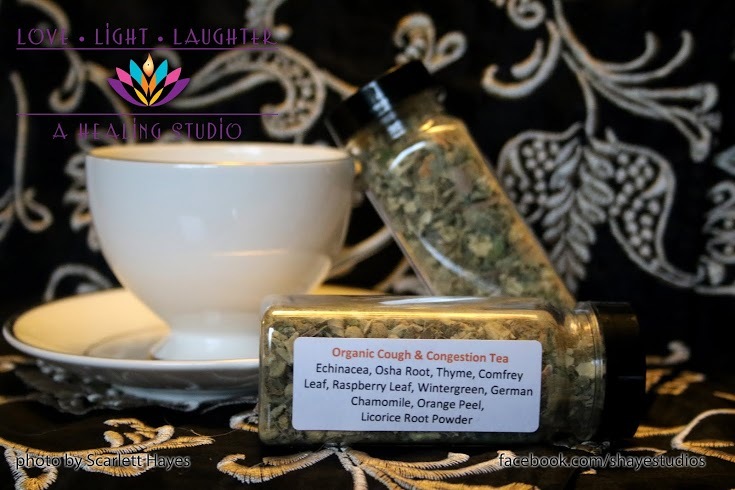 Tea can be infused with other herbs that relieve congestion and are turned into a healthy herbal tonic.